In the 15th century Boston was the wealthiest port outside London. Set in the Fens, a region of farmland reclaimed from coastal marshes by the Wash, Boston was where English wool was loaded onto ships to trade with Hanseatic league cities. 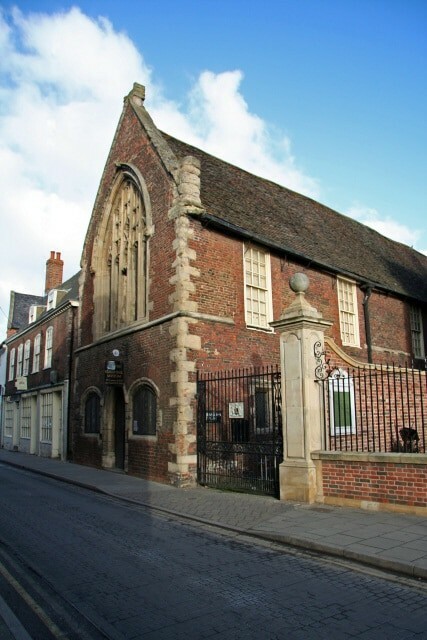 The affluence of that period is unmistakeable in the Perpendicular tower of St Botolph’s Church, which soars over the Fens, and the Guildhall, neatly preserved and housing Boston’s museum. 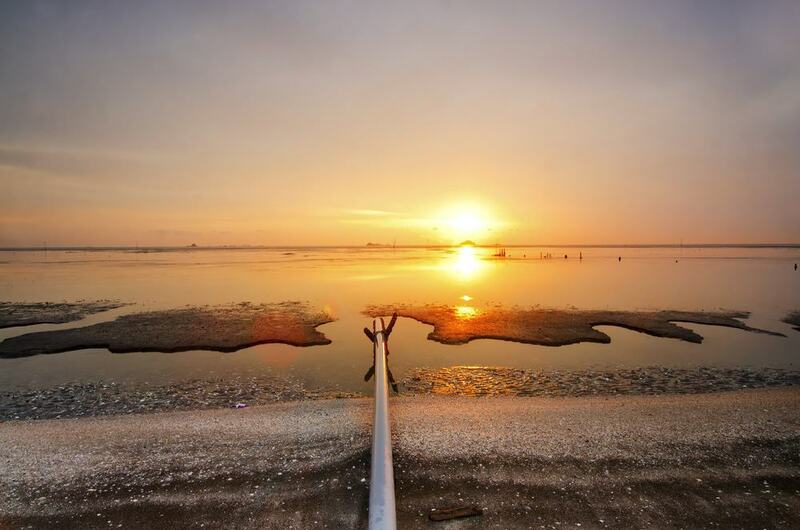 You can venture out to the Wash, Lincolnshire and East Anglia’s vast estuary with wide open skies and an ever-changing throng of wading birds. The low-lying landscape is also suited to windmills, and there are two beautiful heritage mills from the 19th century, still grinding and selling flour. 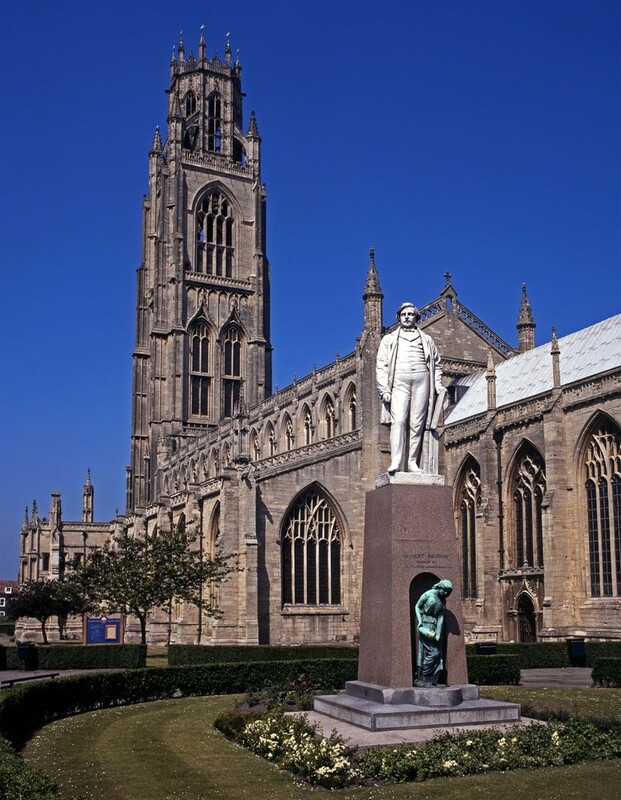 One of the UK’s largest parish churches, St Botolph’s is the first thing you’ll see as you approach the town, dominating the flat landscape for miles. The Perpendicular Gothic tower is 83 metres high and nicknamed the Stump. It was completed in the 1510s, when Boston was flourishing, and you’ll be able to scale the 209 steps up to an open walkway two thirds to the top of the tower for panoramas of The Fens and The Wash.
Make sure you check out the 62 misericords in the choir stalls. These were carved around 1390 and depict heraldic symbols, animals and mythological creatures, as well as some bizarre everyday scenes. In one a master is birching a boy who is trying to repel the blows with a book, while in another there are two jesters, each holding a cat under their arm while biting its tail. Another sure sign of Boston’s trading power in the 14th century is the town’s Guildhall, constructed for the Guild of St Mary in the 1390s. Work began as soon as the crown permitted guilds to own assets, and is built from bricks made from local clay by brickmakers brought over from Flanders. As a religious guild, St Mary’s was suppressed during the reign of Henry VIII and the building became Boston’s town hall and courthouse. 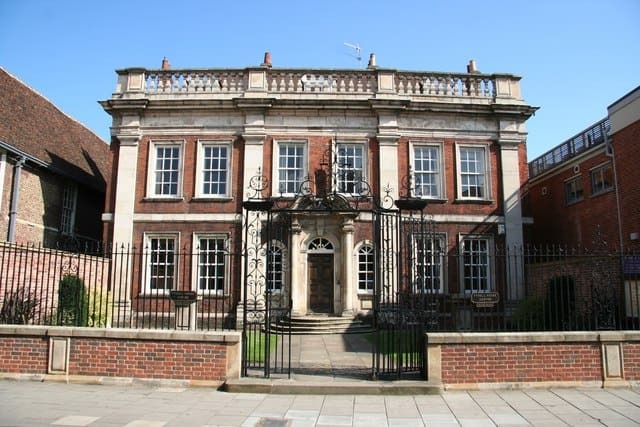 From Wednesdays to Saturdays you can go in for the free museum shining a light on periods in Boston’s history, like its time as a Hanseatic trading port and the trial of the Pilgrim Fathers, who were briefly imprisoned in the lower floor. The building is an exhibit in its own right with masses of historic flourishes in the kitchens/prison, banqueting hall and council chambers, all labelled with information signs. Hands-on exhibits will also keep children engaged. 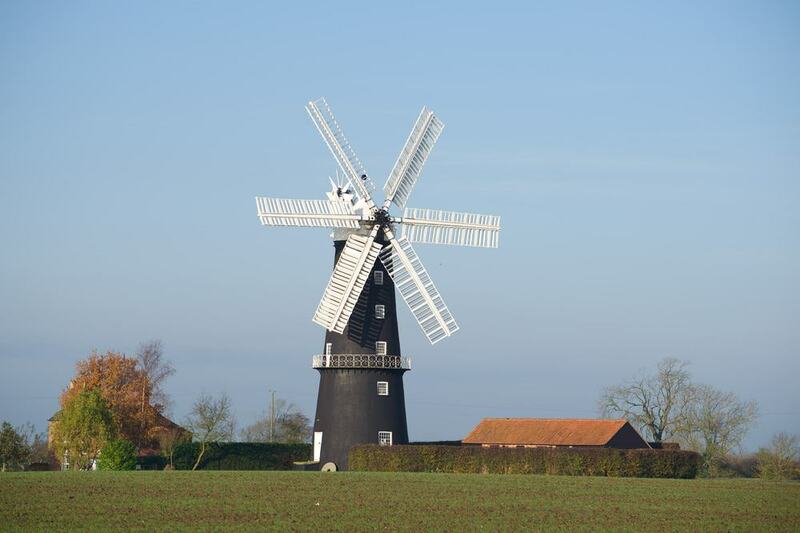 Like the Stump, you can spot the sails of this heritage windmill for miles. Maud Foster Mills is among the tallest operating windmills in the UK, standing seven storeys and almost 25 metres high. The mill dates to 1819 and is on the Maud Foster Drain, a waterway that was used to transport corn and flour. It’s a magnificent, five-sailed structure, topped with a whitewashed ogee, and encircled by a cantilevered wooden balcony on the third floor. What’s remarkable is how much of the 1819 equipment is still here decades after the mill shut down in 1948. You can check out the cogs, grinding stones, wallower, spur wheel and brake wheel on Wednesdays and Saturdays and get some organic flour or porridge oats, ground using 200-year-old methods. Boston has the only museum in the country for cars under 700cc. And while this may seem like a niche attraction you can’t help but fall in love with this convoy of cute, quirky vehicles. 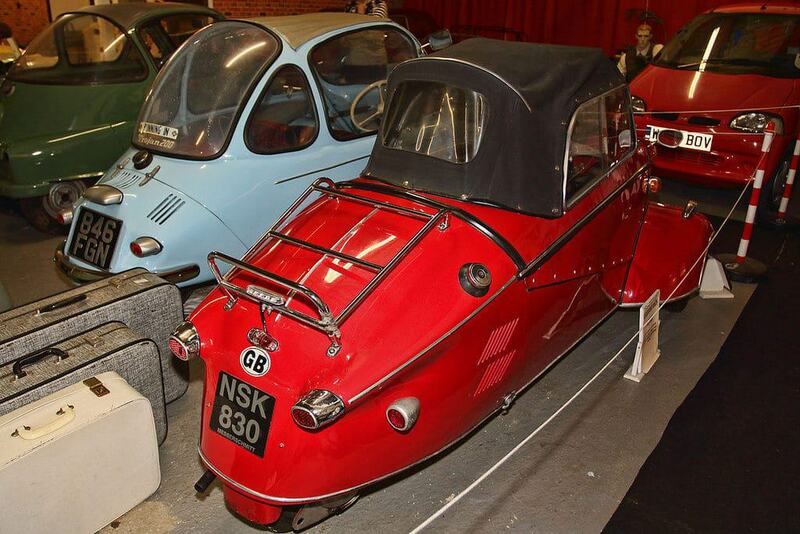 The Bubblecar Museum, just out in the countryside, has more than 50 car models like the Isetta, Bond, Bamby, Frisky and Reliant, mostly dating from the bubblecar boom in the 50s and 60s. There’s a wealth of accompanying paraphernalia, as well as a terrace of recreated shops, dioramas, a gift shop and cafe. The museum is on Clover Farm on the edge of town and opens Fridays, Saturdays, Sundays and Bank Holidays. 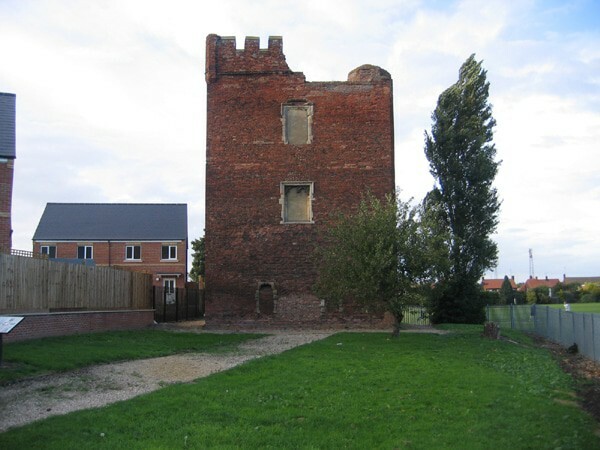 An absorbing trace of Boston’s splendour in the late Middle Ages, Hussey is all that’s left of a brick fortified house dating to the middle of the 15th century. Later, during the reign of King Henry VIII it belonged to the courtier Sir John Hussey. He fell out of favour with the King following England’s break from the Catholic Church, and was executed for treason for supporting the Pilgrimage of Grace (a Catholic uprising during the Reformation). After spending nearly 500 years in decay, the surviving tower is in good shape, and retains a few crenellations and mullioned window openings. The monument occasionally opens on heritage days, so look keep your ear to the ground if you’re interested. Around four miles south of Boston is a RSPB (Royal Society for the Protection of Birds) site on a marsh nestled in the outfalls of the Witham and Welland Rivers. In quite a small area, beside the Wash, Frampton Marsh has a real diversity of water environments like reed beds, wet grassland, salt marsh and river scrapes where whimbrels, skylarks, redshanks and avocets all spend their summers. The marsh has a visitor centre informing you about its habitats, and outside are nature trails along wooden walkways and bird hides with 360° views. You can rent binoculars and pick up a cup of tea or coffee from the refreshments area. 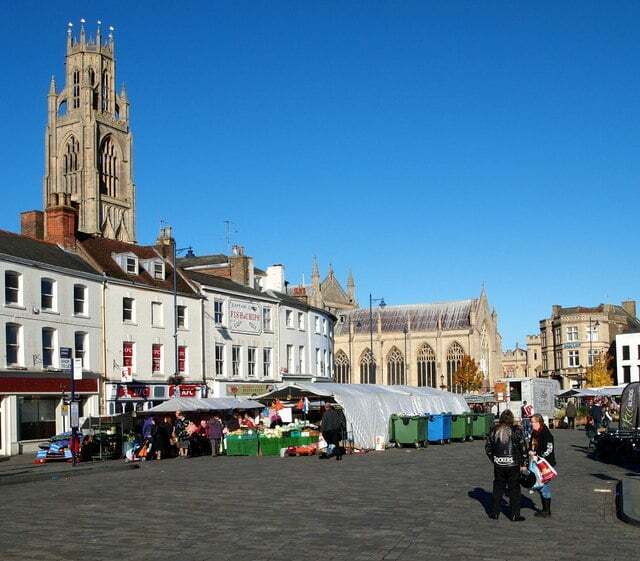 People have been selling their wares at this immense and irregular marketplace, one of the largest market squares in England, for at least 900 years. The marketplace is filled with 120 stalls on Wednesdays and Saturdays selling vegetables, fruit, cheese, cakes, confectionery, plants, fabrics, homewares and more besides. Towards the northern end is the unmistakeable outline of St Botolph’s, while the eye-catching cream building in the south is the Neoclassical Assembly Rooms (1822), crested with a pediment and now containing a nightclub. Next door to the Guildhall, the most elegant property in Boston was built at the very beginning of the 18th century and got its name from the Fydell Family, well-off wool merchants who took up residence in 1720. This townhouse is in the Classical style, sitting behind an iron gate and fence, capped with a balustrade, with four pilasters on it facade and stone urns in the front yard. Since 1935 the house has been managed by the Boston Preservation trust and is a multi-use community amenity. Although the building is used for classes, seminars and functions you’re allowed to go in and have a look at the Georgian fittings and visit the walled garden around the back. At Fishtoft on the Haven, ten minutes downriver from Boston there’s a modest-looking monument to an intriguing episode in European and American history. It was here in 1607 that the Puritan Scrooby Congregation attempted to set sail for the Netherlands. In those days, unsanctioned emigration was illegal, and their attempts were thwarted on that occasion, when the captain notified the local authorities, landing them a prison sentence. A later attempt in 1609 was successful, and after spending 11 years in Leiden the separatists eventually departed from Plymouth for the New World. 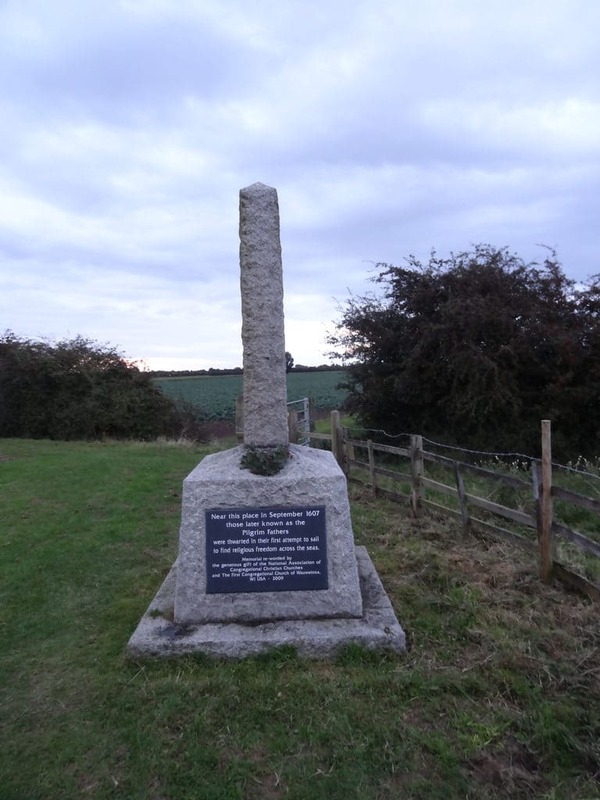 The monument is a small granite obelisk on a granite base. On the west bank of the Witham just before it flows through Boston you can ramble in a 100-acre park, with woodland and meadow first allocated by a non-profit trust in 2001. The Boston Wood is slowly taking shape, and has been planted with hornbeam, beech, oaks, hawthorn, haze and field maple. This environment is in the process of being turned into a park, boasting ponds, wildflower meadows and an arboretum dedicated to Joseph Wright, the Lincolnshire botanist who sailed with Captain Cook on his First Voyage in the 18th century. 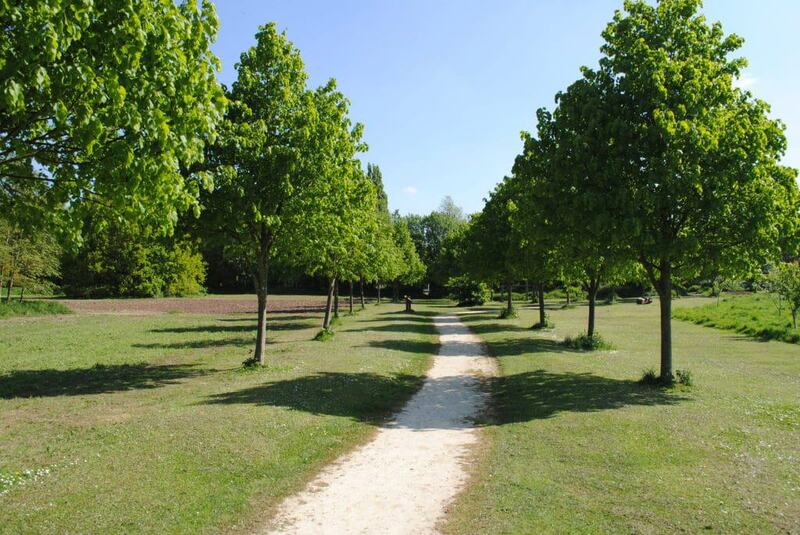 Very handsome is the oak avenue, which is on an axis with the Stump. 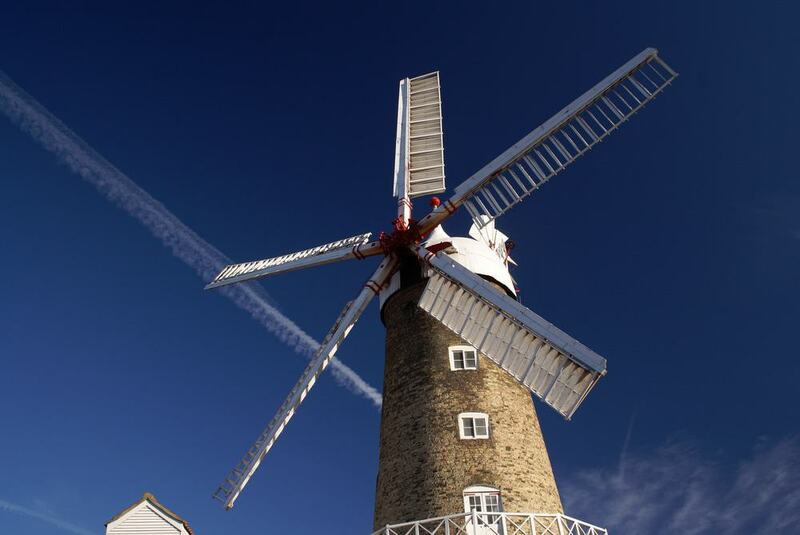 The Grade I listed Sibsey Trader Mill is one of the UK’s last six-sailed windmills and stands at 23 metres tall. It was erected in 1877 and even though it closed for business in 1954 its fantail, sails and gear are all in tiptop shape and the mill continues to grind flour. On weekend afternoons (and Tuesdays in summer) you can head in to find out how everything works and buy a bag of real stone-ground organic flour. The tearoom’s cakes and biscuits are also made with this flour. Fans of military aviation shouldn’t miss this museum at East Kirkby, a brief drive north of Boston. The centre markets itself as being the only place in the UK where you can ride in an Avro Lancaster bomber. This machine is the main attraction and was manufactured in April 1945 to fight against Japan, but never saw action. Afterwards the plane served with French Naval Aviation and restorations have been ongoing since 1992. The Rolls-Royce engines are in working order, so you can feel what it would have been like to taxi in this plane. 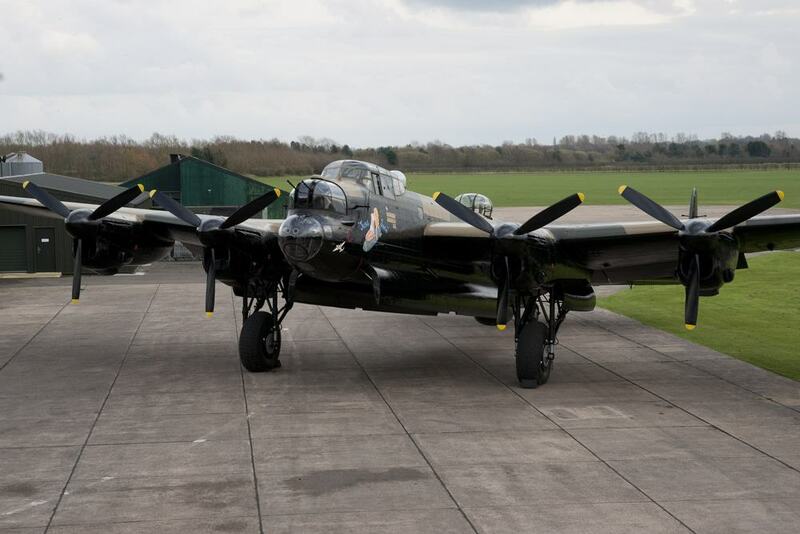 Other exhibits are a Percival Proctor radio trainer and a Handley Page Hampden bomber, both being restored, as well as the cockpit of an English Electric Canberra and the wreckage of a Spitfire that crashed in 1943. You could wander along the Witham for a mile to get to this country park, a tapestry of grassland, scrub and forest. Come in late-spring and the park will be humming with life, at the bug park, a haven for butterflies, and in the designated wildflower meadow. A community orchard was planted here in 2012 in honour of the Queen’s Golden Jubilee. Bird boxes have also been set up to for owls hunting along the Witham and the tree-lined riverbank is a serene place to walk and look over the arable farmland and the Boston Woods across the Witham. Looking south, every now and again you’ll catch sight of the Stump over the tree line. South of Boston the River Witham becomes the Haven, a tidal river and shipping artery, which then flows into the Wash, one of the broadest estuaries in the UK. The Wash is also the most significant estuary in the country for wildlife, vital for mussels, cockles, shrimp and other shellfish. Bird species like oystercatchers feed on these shellfish while the massive belts of salt marsh and mudflats are a breeding ground for common terns and a place for marsh harriers and all sorts of migrating species to feed. This environment is crucial for 17 bird species in all, from redshanks to pink-footed geese. By land the easiest option from Boston is Freiston Shore where you can see vast flocks of waders at high tide. 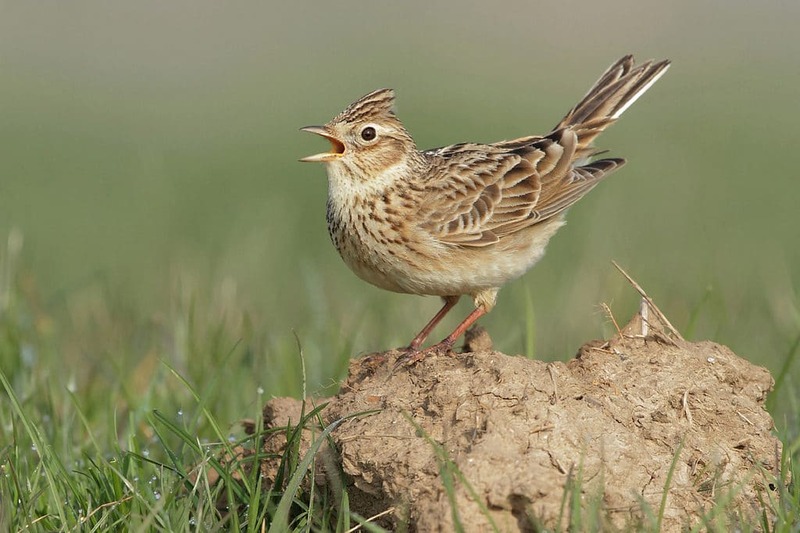 Brent geese and hunting harriers are common in winter, ringed plovers show up in summer, while the skylarks and yellowhammers are here in every season. 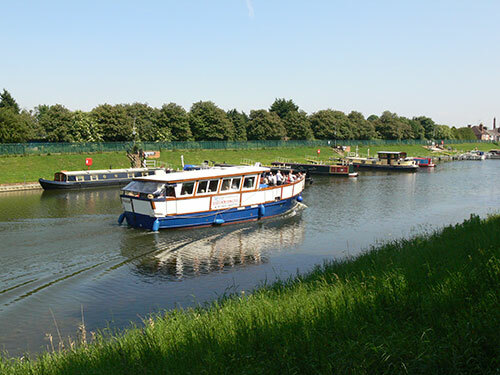 Setting off from the Boston Gateway Marina, the Boston Belle is a boat offering cruises along the Witham from April to October. The Boston Belle has an open foredeck with benches, a licensed bar and a canopy over the stern that can be removed on sunny days. Out of the town you’ll float gently past arable farms, and in the town you’ll a memorable perspective of the Stump, the historic port and the town’s fishing fleet. Lunch and dinner cruises can be arranged, and the Boston Belle also organises cruises out into the Wash in conjunction with the RSPB, to go looking for seals and wading birds.